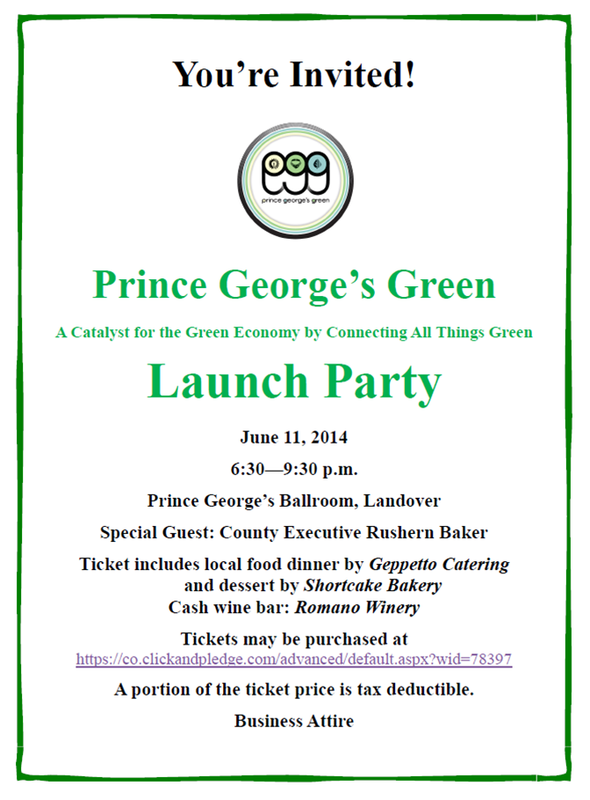 Home » Uncategorized » We’re so excited for the Launch Party of Prince George’s Green!! We’re so excited for the Launch Party of Prince George’s Green!! Here at the Forklift, we’re thrilled about a new nonprofit in town: Prince George’s Green, a new nonprofit which aims to be a catalyst for the green economy by connecting all things green. The first initiatives include green workforce development and green business development. We’re going the Launch Party to find out more, network with others interested in the green economy, and to enjoy great music and a local food dinner. Hope to see you there!! !